Congratulations! 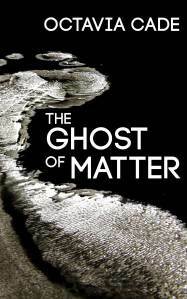 Well deserved – I enjoyed reading The Ghost of the Matter, since Rutherford has long been one of my favorite scientists. One of the truly great experimentalists. Is there any video evidence of your hopeless gaping and incoherence? Ha! Thankfully no, at least as far as I’m aware. If there was, whoever took it has been kind enough not to show me. I’m just grateful I didn’t trip over my own feet on the way up.